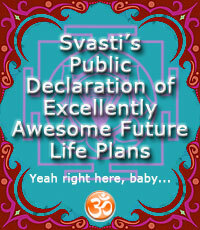 Dear Svasti, your determination to make 2011 a good, healing, stronger year shines through your words. May it be trauma-free and wonderful for you. You could be describing me here. It took me years to get my eating back under control. During my dark days I lived on peanut butter + toast.